Actual a business license. You own it, no royalties, no franchise fees ever! Turnkey business. Be up and operating in 30 days! Wayne Gretzky, Canadian hockey legend, was a success on the rink because of his mindset: skate to where the puck will be, not chasing it around the rink. The same is true for the successful entrepreneurs of the future. If you’re seeking the ideal business venture, with an unlimited future, more profits, low cost consider opening, owning and starting your very own Granite Recycling Center in Canada! This new business model is for the new wave of emerging entrepreneurs as well as for existing business people who are transforming their organizations, at the same time as trying to develop a business and to make a living, trying to do more to help people and to help the planet. Business as usual isn’t working. In fact, it’s ‘business as usual’ that’s wrecking our planet. Resources are being used up; the air, the sea, the land – are all heavily polluted. 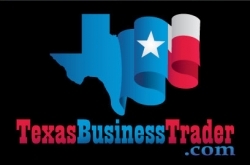 The perfect business for today, tomorrow and the future. 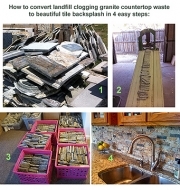 Start your own Granite Recycling Center now. Get in at the beginning of the new, worldwide business model of the future. Saving Money. Making money. Creating jobs and making our environment sustainable. Recycling granite makes business sense. huge - in demand products!